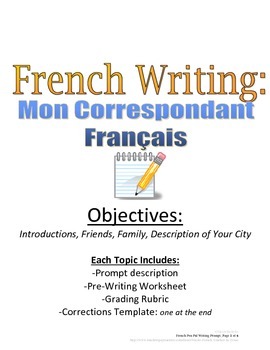 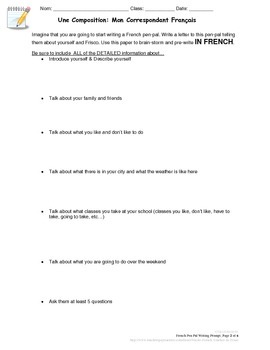 This is a starter composition for students to practice describing themselves, family, friends and where they live. 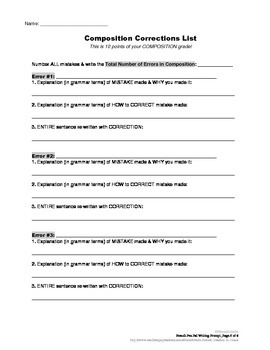 There is a creative prompt for students and a detailed pre-writing worksheet to guide students through the process of writing a letter/essay. 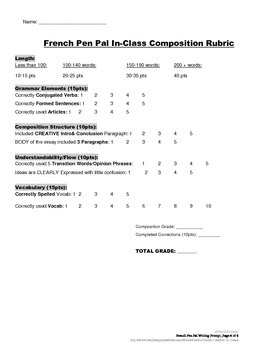 For teacher, there is a grading rubric included and composition corrections worksheet.